So I have been doing Stitch Fix for years. I get a box maybe 3 times a year and I have had some good luck with it. 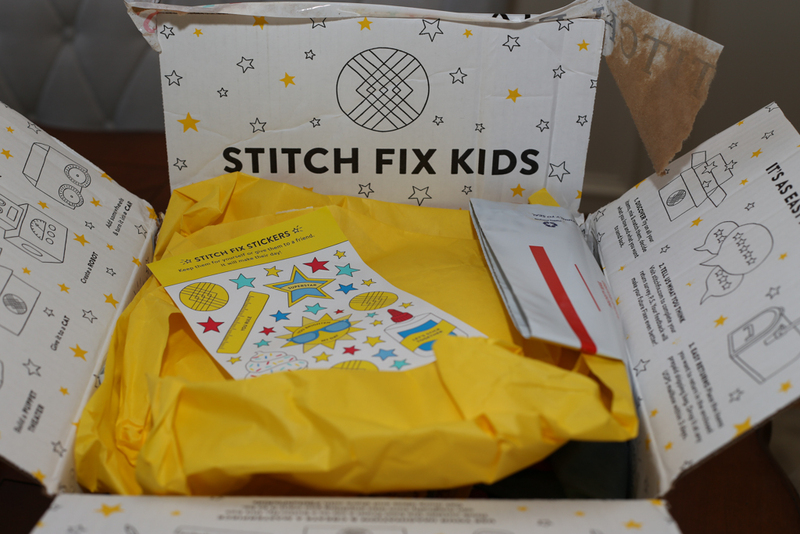 But they just started Stitch Fix Kids and I was REALLY excited to try it. The reason I wanted to try it was for Harper. I rarely buy clothes for Hollis because she just wears all Harper's clothes. And Will Holden I normally just get him clothes at the resale shop and buy a few Sunday outfits online. But Harper has been trickier. 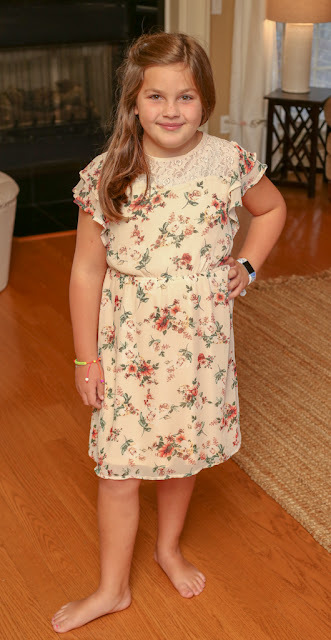 She's not in a "little kid" size any more and it's hard to find clothes that are still cute but age appropriate. We shop mostly at Gap and Target for her these days and I also like Zara. I do a lot of online shopping because I don't have time to get in stores. So I thought it would be fun to have a box of clothes sent that she could try on and it's SO easy to send them back because they include the envelope and you just stick it in your mailbox. They couldn't make it any easier for me. They sent her about 10 things. You fill out a style profile on her and they send you several different things. We did a little style show last night and tried on everything. We ended up keeping four. 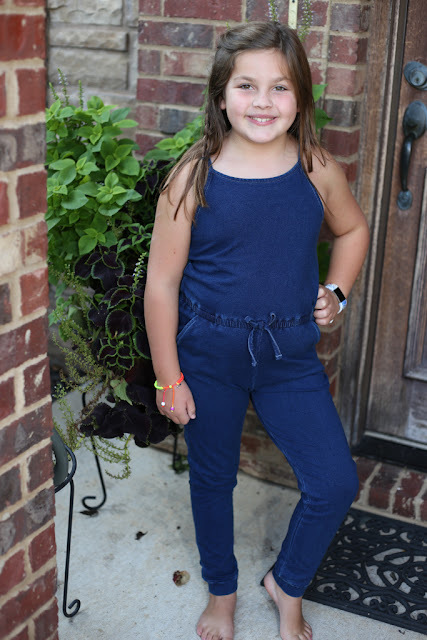 She LOVED this romper and thought for fall and winter she could put a sweater over it for school. I hate that she looks 15. I loved this dress and she did too. She thought it was so conformable. She wasn't a fan of this outfit and I wasn't either. But she LOVED this dress for fall. 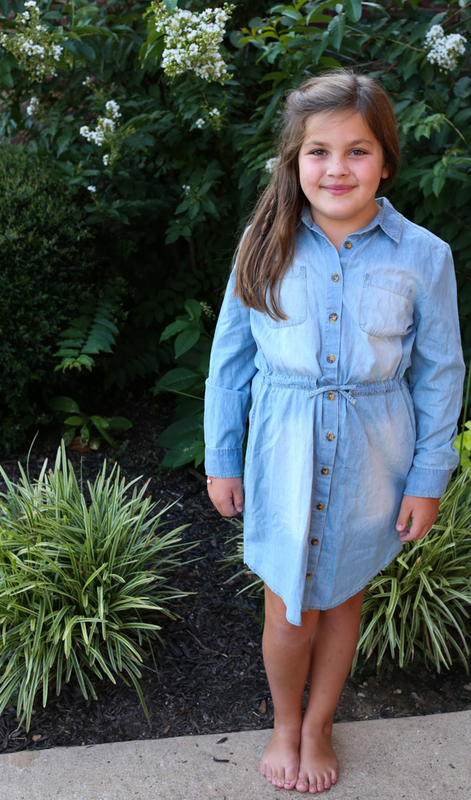 We think it will be cute with boots. I thought this was a fun way to fill in her closet. You can set the price points you want and ask for certain things - like dresses or jeans or whatever. We will for sure try it again and I thought y'all might be interested to know about it too!